Say you acquire a second refrigerator but don’t need to keep it in use at all times. If this is the case, you can unplug the refrigerator and store it in the garage safely, but take some basic care and precaution to keep the refrigerator in working order for the future. Empty and clean the refrigerator thoroughly before storing. 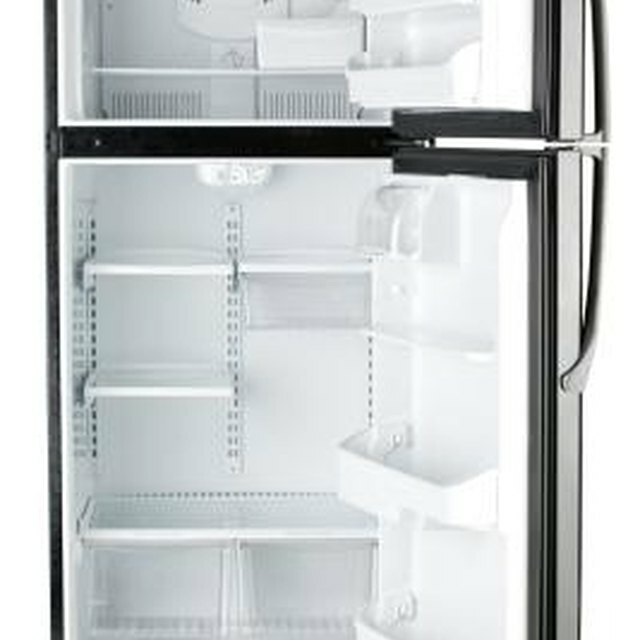 Before storing the refrigerator, remove all food items from inside the unit. Use a mixture of baking soda and water to clean the interior surfaces, including inside drawers and bins to remove dirt, debris and other residue that may create an odor over time. Wipe clean with a damp cloth and then dry thoroughly with a towel. Turn off the ice maker, if applicable, at least one day before unplugging the refrigerator. Wait for all the ice to drop into the bin and then empty the bin. Move the refrigerator to the area in the garage where the refrigerator will be stored. Get someone to help you if you can't move it safely yourself. Then unplug the refrigerator, set towels on the ground in front and in the back of the appliance, and prop the doors open. Remove the water filter if one is installed in the refrigerator compartment or in the toe grille. Insert the filter bypass plug that was included with the refrigerator. Leaving the refrigerator propped open can present a safety hazard to children and animals, so monitor the refrigerator as needed. Once the refrigerator is thoroughly defrosted, secure the bins and drawers in the unit with a strong tape, such as packing tape. Then prop the doors open to allow for circulation, unless the refrigerator may be accessed by animals or children. If this is the case, then close and bind the doors with a fastener. However, note that mold may develop in the refrigerator if the doors are kept closed and the mold will need to be cleaned thoroughly if the refrigerator is put back into use. Remove the toe grille from the front bottom of the refrigerator and access the drain pan. Remove the drain pan if possible and wash the pan out with soapy water, rinse well and dry. If the drain pan can't be removed, use a towel to wipe the pan out thoroughly. Then replace the toe grille on the refrigerator. Maytag: How Do I Store My Refrigerator?